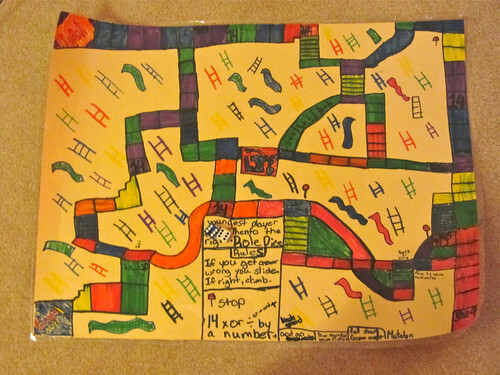 Mattey has been working on a math game for the last 2 and a half weeks. She got to bring it home today. 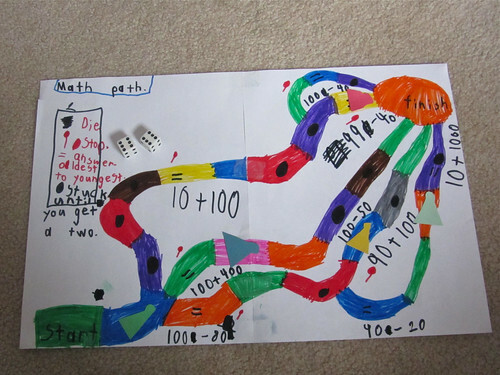 After seeing Mattey's creation Kade had to make a math game of his own. Both games got played this evening. I missed playing them because I was making potato soup.